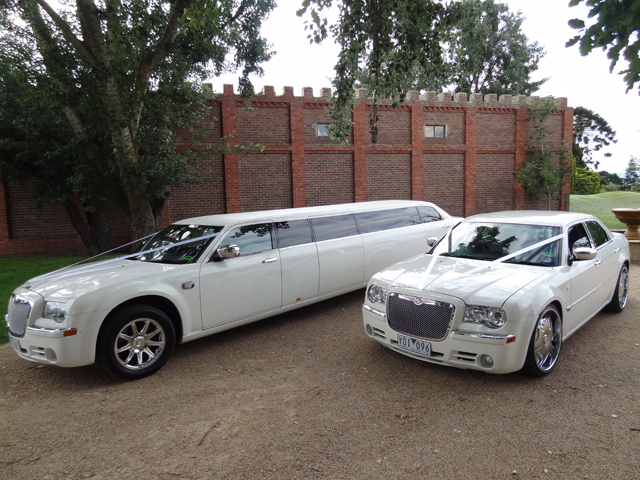 At Amazing Limousines, our aim is to ensure that your big day is one to remember. 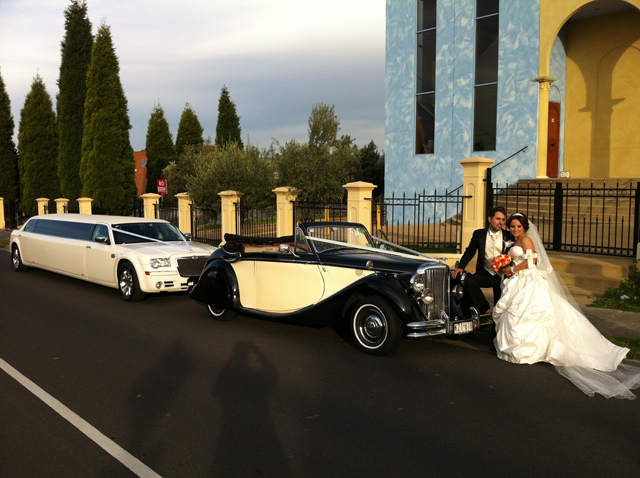 Our wedding cars can comfortably seat up to 13 passengers and some come with a 5th bridal door for easy entry and exit of the vehicle. 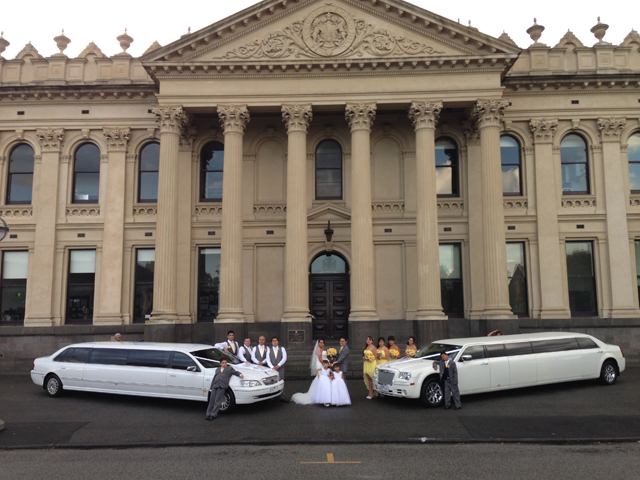 All of our vehicles are immaculately presented, making them the ideal and elegant limousine choice for a couple and their bridal party. 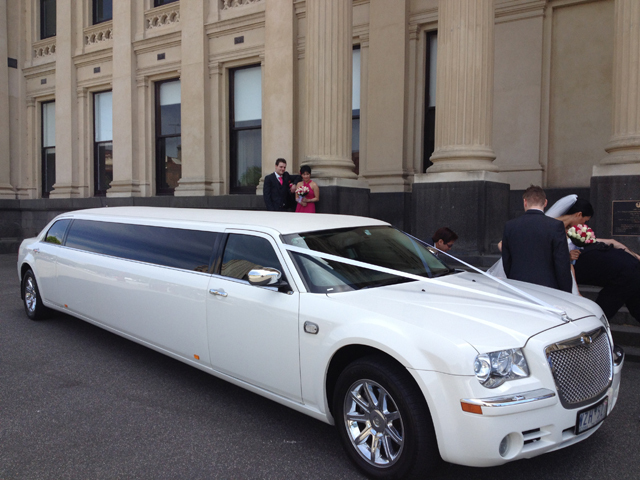 Our fleet of wedding cars for hire comprises of some of the newest stretch limos in Melbourne. 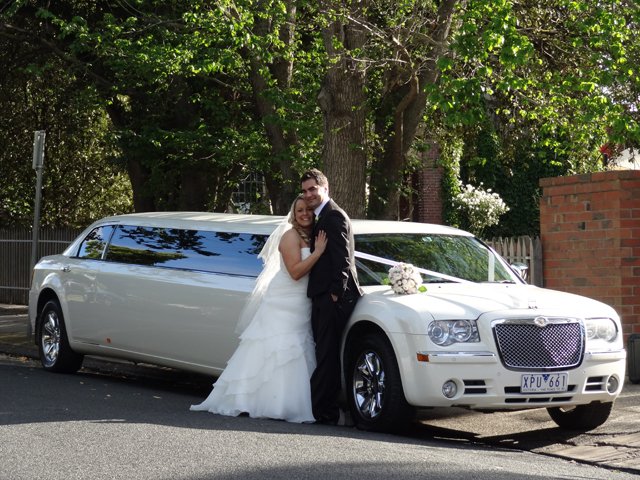 Included in our fleet are the elegant Chrysler 300C and stunning Ford LTD stretch limos, as well as stylish Chrysler 300C sedans. 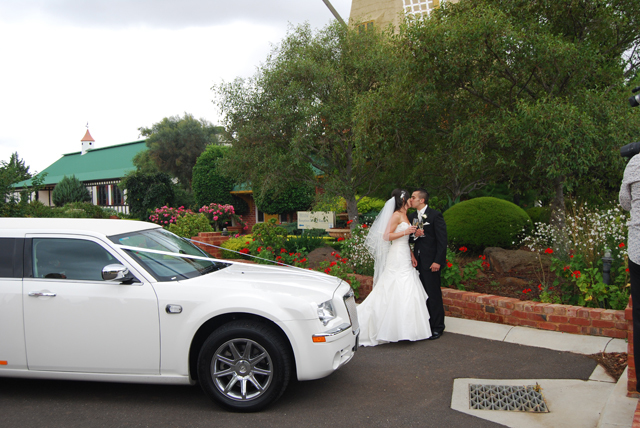 Our Chrysler sedan perfectly complements the Chrysler stretch limo, and comfortably seats up to four people. 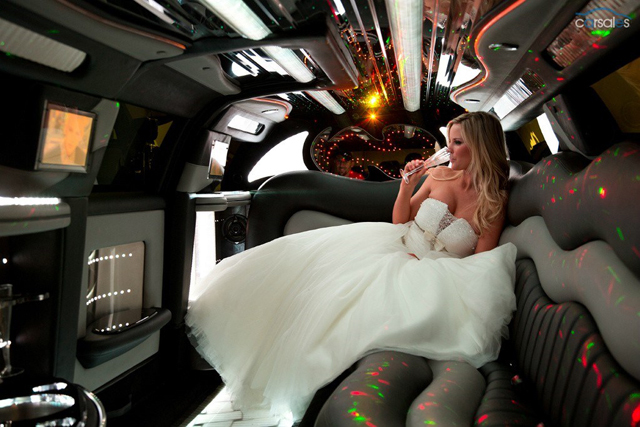 Why Hire Your Wedding Limo with Us? 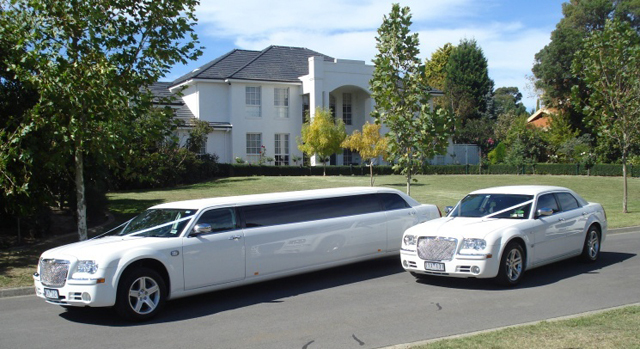 We’re a family owned and operated business, which means we take great pride in delivering exceptional customer service at competitive prices. 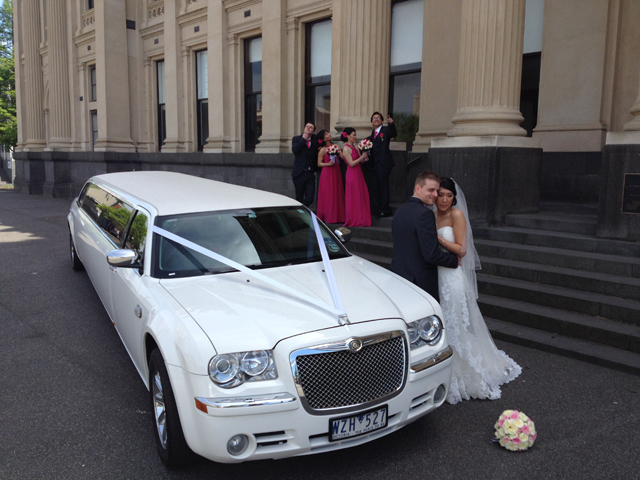 You can be assured that our years of experience providing wedding limousines in Melbourne sets us apart from our competitors. 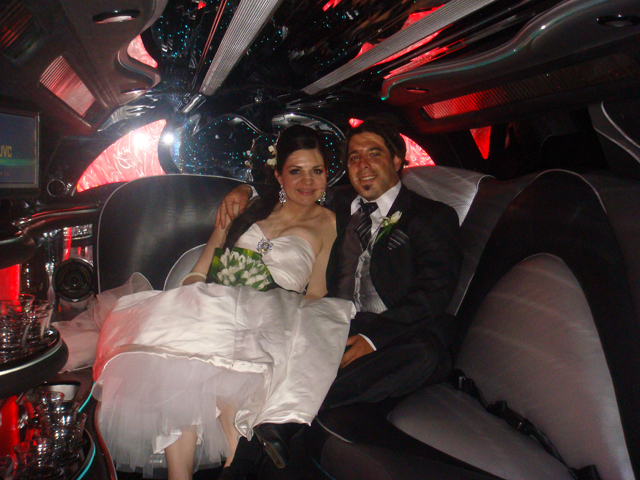 So much more than simply providing transportation to where you need to be, our team prides itself on going beyond the standard service to ensure your experience with us is positive and unforgettable. 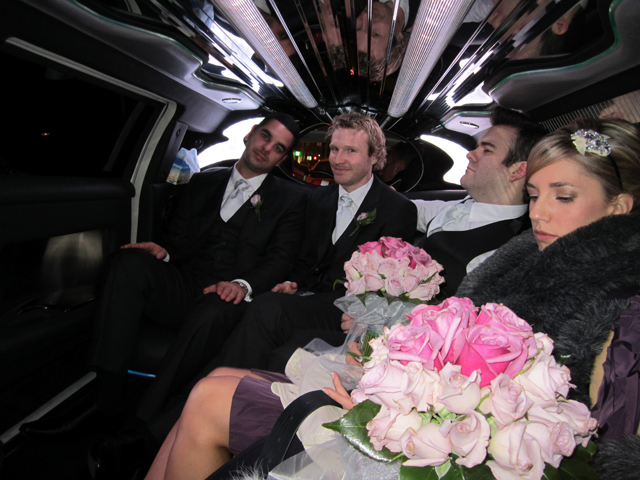 Taking all those little extras that make a big difference into consideration, we make your event just a bit more special. 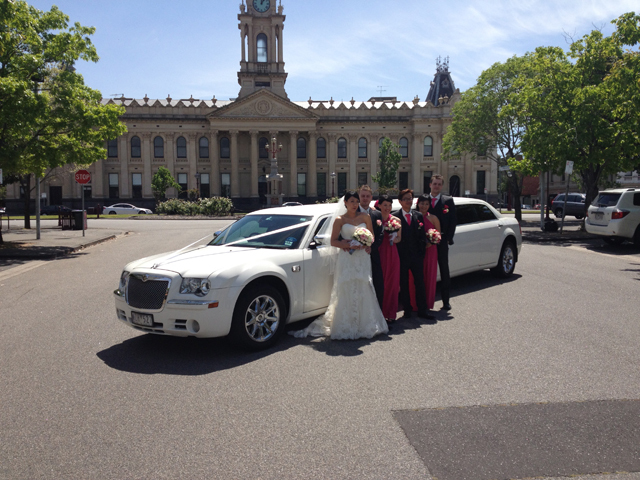 When you choose to hire your wedding limo with us, you’ll be accompanied by one of our highly experienced and professional chauffeurs, who will be there to help in any way possible. 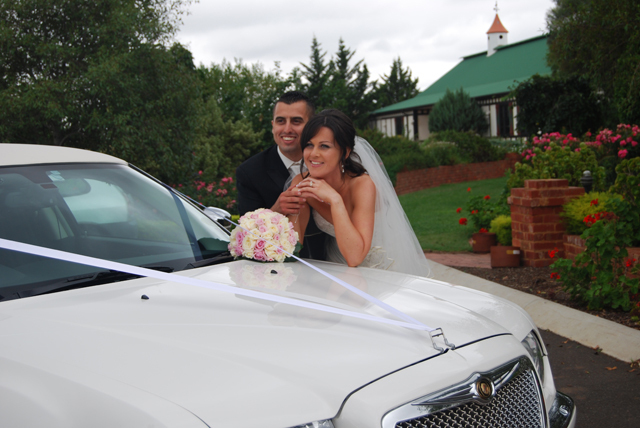 All of our wedding limousines come with a complimentary wedding package to add the final finishing touches to your special day. 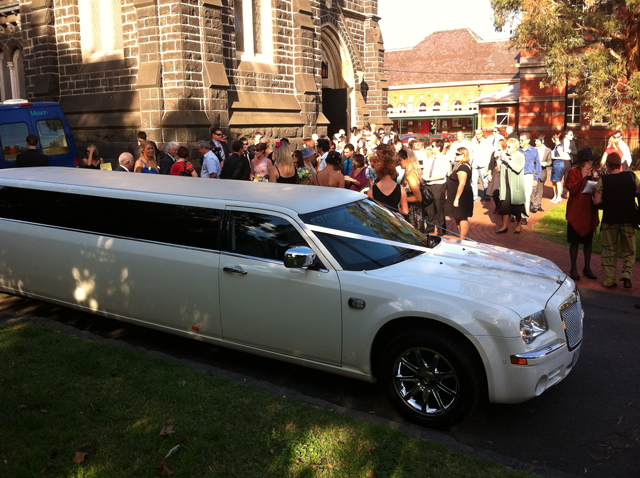 This includes a ribbon for the front of the vehicle, tulle and flowers for decoration inside, a wheel cover to protect dresses and complimentary chilled champagne, water, ice and glasses. 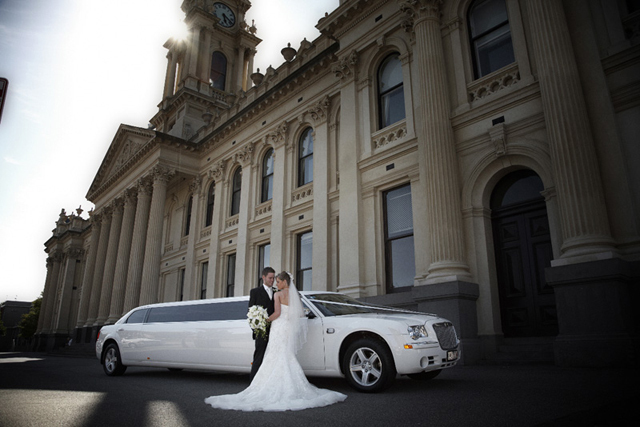 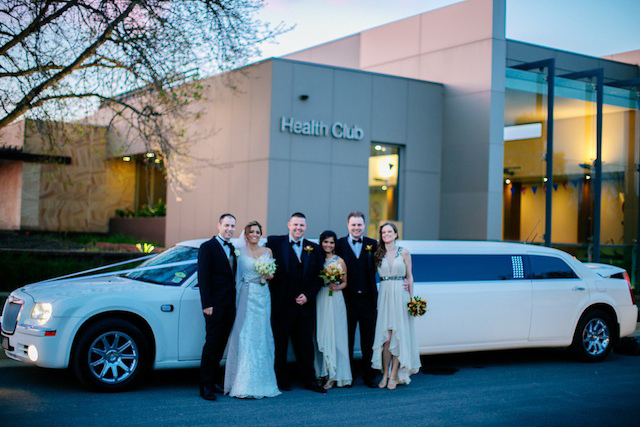 Although we are based in Melbourne, our limos have travelled as far as Echuca, Geelong, Warrigal, Shepparton and Sorrento for our couples, so please feel free to speak to one of our friendly team members to discuss your wedding limousine and car hire requirements. 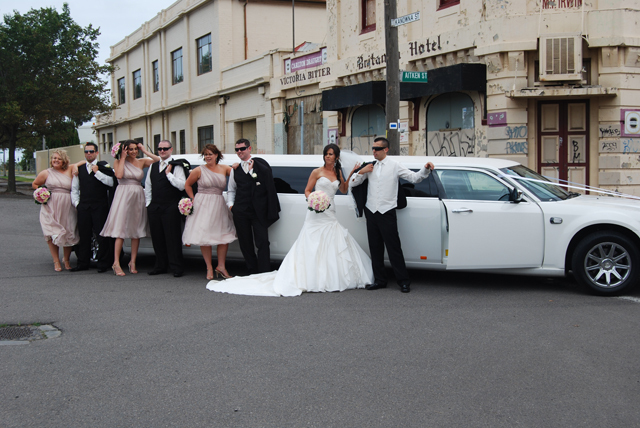 For exceptional and affordable wedding limo hire, please phone us today on (03) 9876 1538 to confirm prices and availability, or to organise a viewing of our fleet. 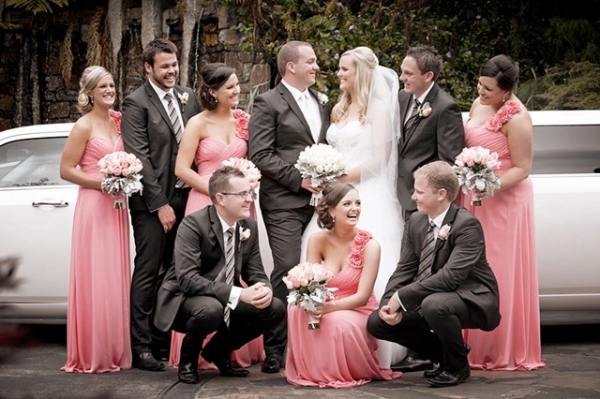 Alternatively, please fill in your details to the right and we will get back to you shortly.